Planning a wedding, new outfit or a house redecoration? If you use social media, there's only one place you'll go to help you gather everything neatly in a single online scrapbook. 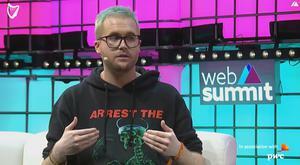 Join us on Independent.ie for highlights each day from the main speakers and talks of the 2018 Web Summit. WELCOME to the second day of Independent.ie's live coverage of the Web Summit 2018 - and the first day 'proper' of speakers from Lisbon. THE inventor of the World Wide Web, Tim Berners-Lee, said that the internet needed to wean itself off "clickbait" and that another "revolution" was needed. 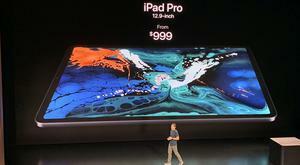 The Big Tech Show: Is the new iPad Pro a replacement for your laptop? 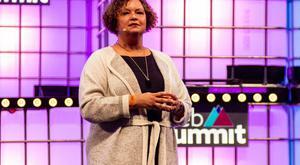 Does the Web Summit matter? The Web Summit tech conference has secured €110m from the Portuguese government to stay in Lisbon for the next 10 years. Does the Web Summit loss spell doom for Dublin - or does it mean a new start? 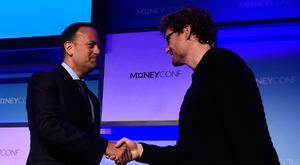 The Web Summit is leaving Ireland but Dublin will always be in its heart, its founder Paddy Cosgrave has said. In front of a capacity audience on the centre stage at the Web Summit, Rio Ferdinand and Brian O'Driscoll offered captivated would be tycoons some sage advice - don't drink and tweet. 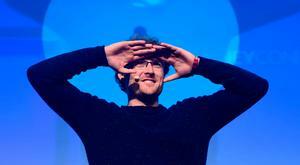 THE Web Summit is leaving – but “Dublin will always be in our hearts,” said founder Paddy Cosgrave. WORKFORCE management software company Bizimply won the ESB Spark of Genius award, one of Ireland’s most prominent start-up competitions. The Web Summit is in full-swing at the RDS and we're predicting these to be the must-have apps of the future. Forget Lisbon. Forget San Francisco. To find the latest crop of world-beating online entrepreneurs at the Web Summit, you have to look to attendees from the Kildare-Dublin border. Three days later and developers, entrepreneurs, investors and tech fans alike are leaving the Web Summit behind. As a less-than-amused by-stander, I am appalled with the Government's mishandling of housing in this country. Over 80pc of dating app Tinder’s users use the product to find a long-term relationship, according to the app’s chief executive Sean Rad. I arrived at the Food Summit with one mission only - to get the biggest bang for my (twenty) buck(s). OTHER major conferences that will be seen as replacing Web Summit in Dublin will emerge, Jobs Minister Richard Bruton has predicted. Padraig Harrington: I only ever checked my Twitter notifications once – I won't do it again! Irish golfer Padraig Harrington says he does not allow the outside world into his – including ignoring social media to maintain his focus.